Chad is facing difficult times: the overall political, military and security situation in one of Africa's poorest nations remains highly volatile and unforeseeable. Frequent droughts and water scarcity turn life into a daily challenge for the majority of Chadians. It is against this background that SOS Children's Villages is helping the most vulnerable segment of the population to live in peace and security. At present, there is one SOS Children's Village in Chad, one SOS Youth Facility, one SOS Kindergarten, one SOS Hermann Gmeiner School, one SOS Medical Centre and one SOS Social Centre. In 2006, the area in which the SOS Children's Village in N'Djamena is located was affected by heavy fighting between government troops and armed rebels. Precautionary measures had to be taken in order to guarantee the safety of all children. SOS Children's Villages runs an emergency relief programme in order to help refugees from the Darfur region in neighbouring Sudan. They are provided with psychological, educational and medical assistance so as to help children and their families to overcome the trauma of war. An armed insurgency in the country's northern region began in 1998. As a result of the crisis in Darfur, hundreds of thousands of Sudanese refugees fled to Chad. In early 2008, the Chadian capital N'djamena experienced rebel attacks in which civilians were killed. The number of internally displaced people has nearly doubled since 2006: 140,000 Chadians are now internally displaced and additionally, there are around 200,000 Sudanese refugees living in Chad. The humanitarian situation in the country has deteriorated significantly over recent years. Although the country possesses significant gold, uranium and oil reserves, the people of Chad have not yet benefited from their country's natural wealth. Chad is one of the poorest countries in the world and one of the lowest ranking states in terms of human development. It is home to 10.7 million, more than half of whom are under the age of 18. Water is an extremely precious commodity in the arid eastern provinces. In rural areas, only four per cent of the population have access to clean water. Often, polluted water causes diarrhoea, cholera or other water-borne diseases. Major infectious diseases that affect the population include hepatitis A, typhoid fever and malaria. Quite frequently, people die from diseases that are easily curable in the western world. HIV/AIDS also remains one of the major public health concerns: the overall adult prevalence rate is high at 3.4 per cent. 63 per cent of Chadians live a life in poverty. Due to the lack of access to basic education, only 32 per cent of the population know how to read and write. Life expectancy is extremely low at only 48 years at birth. Chad is affected by natural disasters on a regular basis. In rural areas, people heavily depend on agriculture and droughts can have devastating socioeconomic effects. Around 80 per cent of the population depend on subsistence farming and raising livestock. Due to high mortality rates and migration of men, 23 per cent of all households in rural areas are headed by women. These households are particularly vulnerable to poverty. 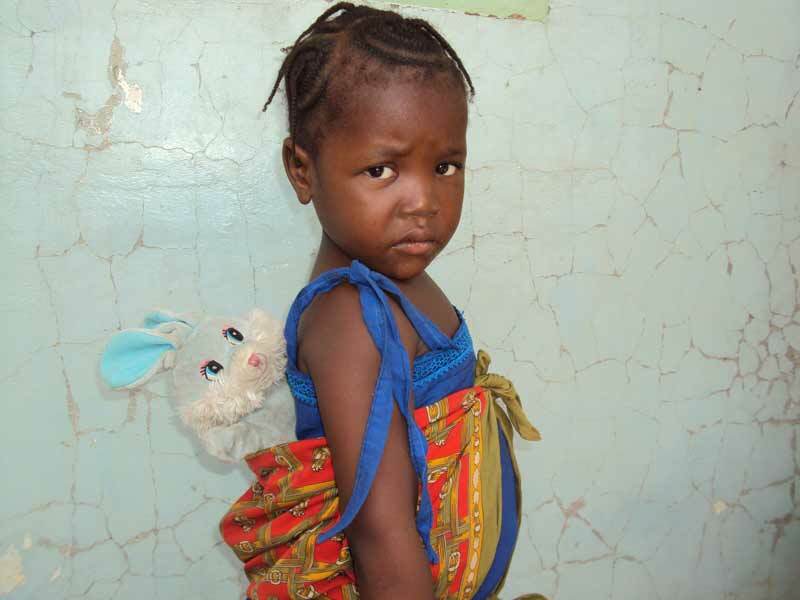 670,000 Chadian children are growing up without parental care. 120,000 of them have lost their parents because of AIDS, one of the country's major health issues. The infant mortality rate per 1,000 live births amounts to 124. Most births are not assisted by skilled medical staff.